UPCAT Results 2014-2015 (List of Passers) have been released online, 2 months earlier than the expected February 2014 release. Yeah, this is not a joke. More than 83,000 students took the University of the Philippines College Admission Test (UPCAT) for the Academic Year (AY) 2014-2015 in 82 test centers nationwide last August 2013. And around 16% of them passed the said UP entrance exam. It's indeed one merry Christmas for the 13,028 UPCAT 2014 passers, as the results have already been released early morning today, December 23, 2013, 2 days before Christmas Day. Usually, in previous years, the results are released sometime in the month of January or February. But I feel sad for those takers who failed. It's not gonna be a happy Christmas for them. More are actually feelin' sad now than happy, since only 13,000 passed the exam compared to the 70,000 who did not pass. 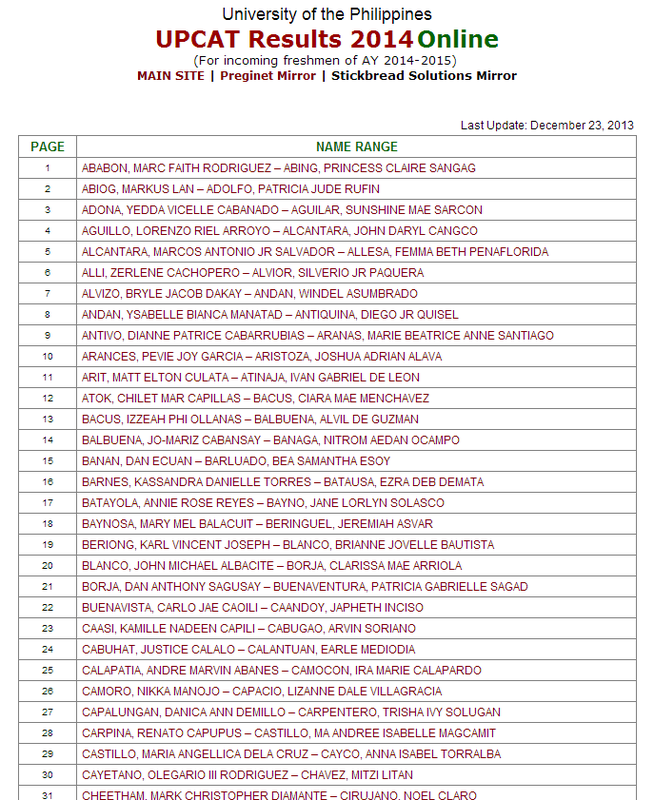 The UPCAT Results 2014 or the list of passers can be found here, or try it here if it's not working. 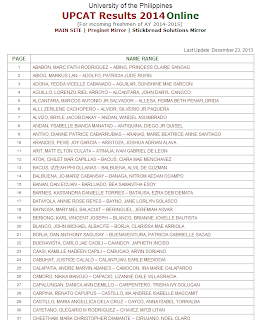 Congratulations to all UPCAT passers! Are you one of them?